The children's cutlery Junior combines everything that a children's cutlery needs. The shapes are unique and fancy to encourage the child to touch and handle the cutlery. Junior is plain and elegant. Standard cutlery is usually too heavy for children or the handling is too difficult. 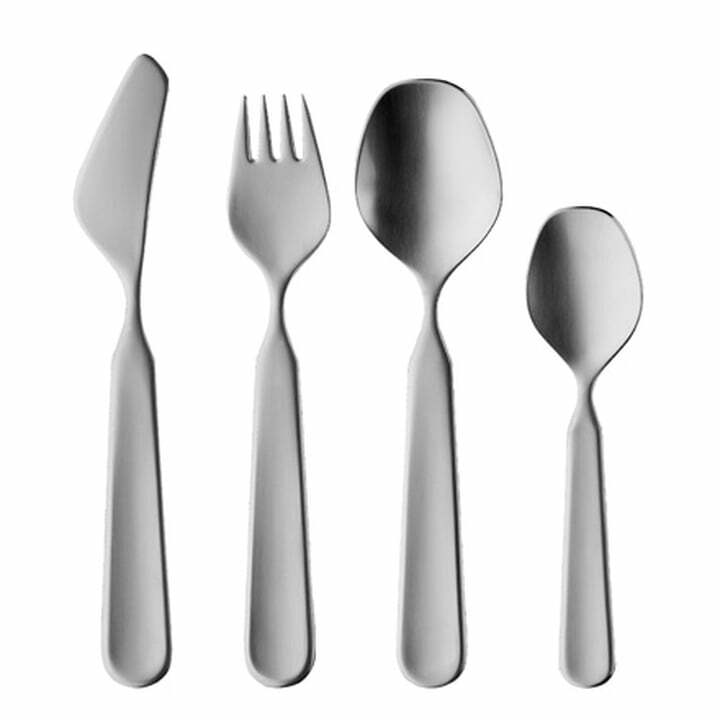 The Junior children's cutlery is well-adjusted to children's hands due to its shape, size, and characteristics, and it is the perfect starting set. The blade of the knife is rounded, so that the child won't get hurt while cutting. Junior is made of 18/10 stainless steel. It is available in a matt version and is dishwasher safe.